If you’re aware of Monster Hunter, you’re probably also aware of Dauntless, a very similar PC game that’s coming “soon”. Dauntless was on display at PAX South, where I got a chance to try it. Unfortunately, my first chance was pretty short. Like Monster Hunter, too many defeats for your team means your hunt can come to a premature end. This number seems to be 5, which sounds less punishing than Monster Hunter’s 3, but came extremely quickly. When you lose all of your health in Monster Hunter, you get a nice long while to think about your mistakes as you get sent back to base camp (in a cart, hence, “carting”) and have to run back to the party. 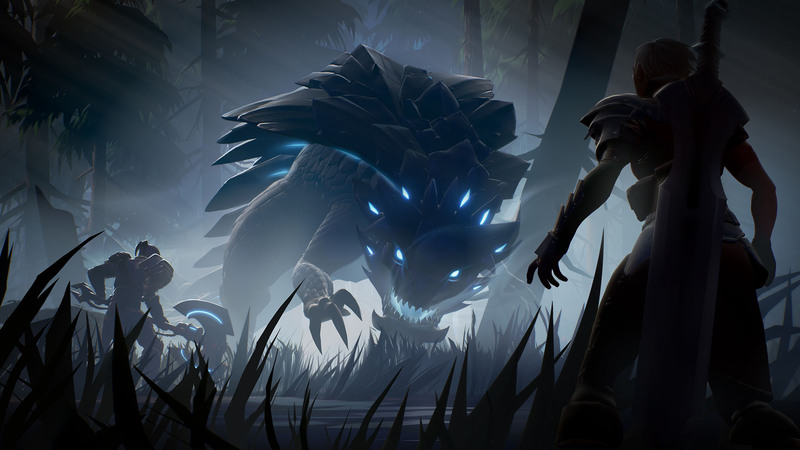 Dauntless allows you to revive teammates on the spot, which leads to two problems: you can go down while attempting this revive, and the newly-revived, not-at-full-health teammate can go down again almost immediately. It sounds like getting back into the action faster is an improvement, but it doesn’t go well with the game as currently structured. It’s not all bad. Areas seem to be a lot more open than Monster Hunter, the hunt area is contiguous instead of divided into subzones. Weapon selection is very limited right now (the demo only had 3 options), but more are on the way. The dodge roll has a lot more invulnerability, so it’s easier to use aggressively. Monster design is excellent, which is probably one of the most important parts. I think Dauntless has the potential to be a good game, but in a demo setting with absolute beginners it didn’t feel great. I’m curious to see if they stick with this format, or adopt something like Monster Hunter Online, where downs only count against you personally (you get kicked out of the hunt if you go down 3 times). We’ll see what develops.